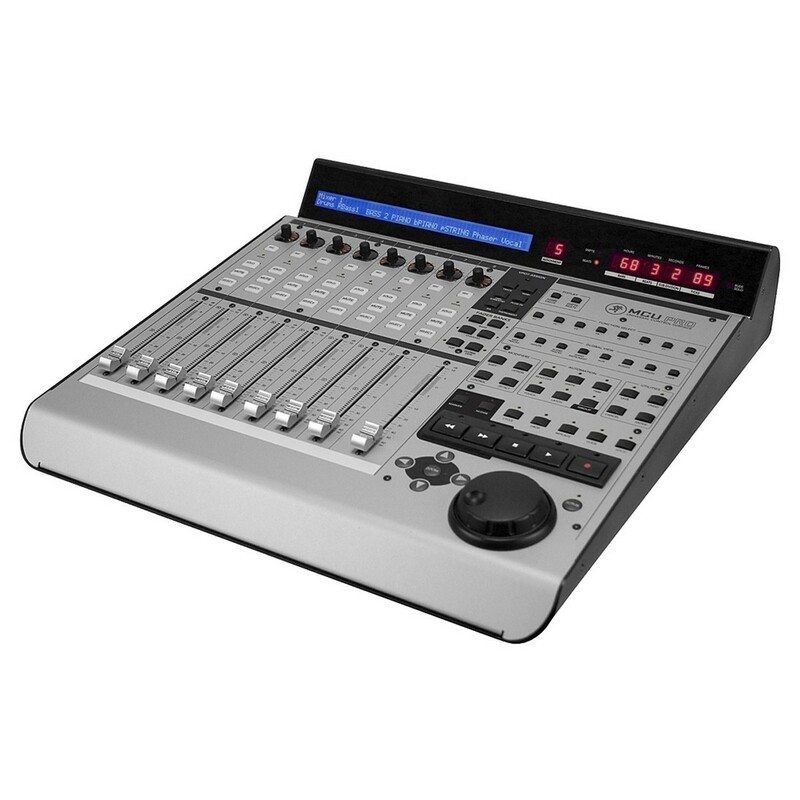 The Mackie MCU Pro is the perfect 8 channel control surface for any music production studio. 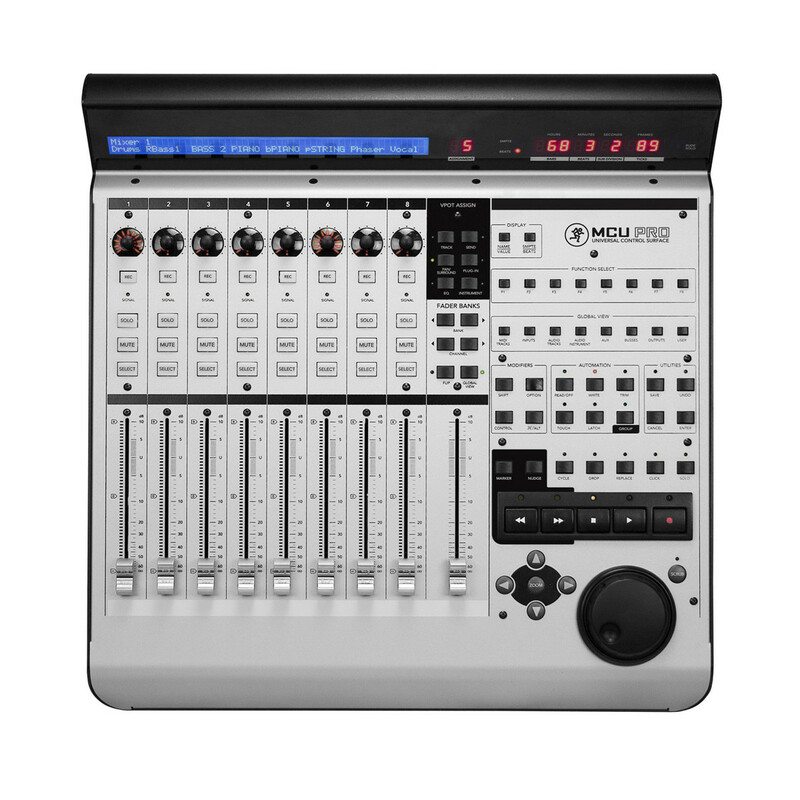 Featuring nine motorised touch-sensitive Alps faders, eight V-pots and more than 50 master buttons, the Mackie MCU Pro provides intuitive hands-on control over every aspect of your mix. 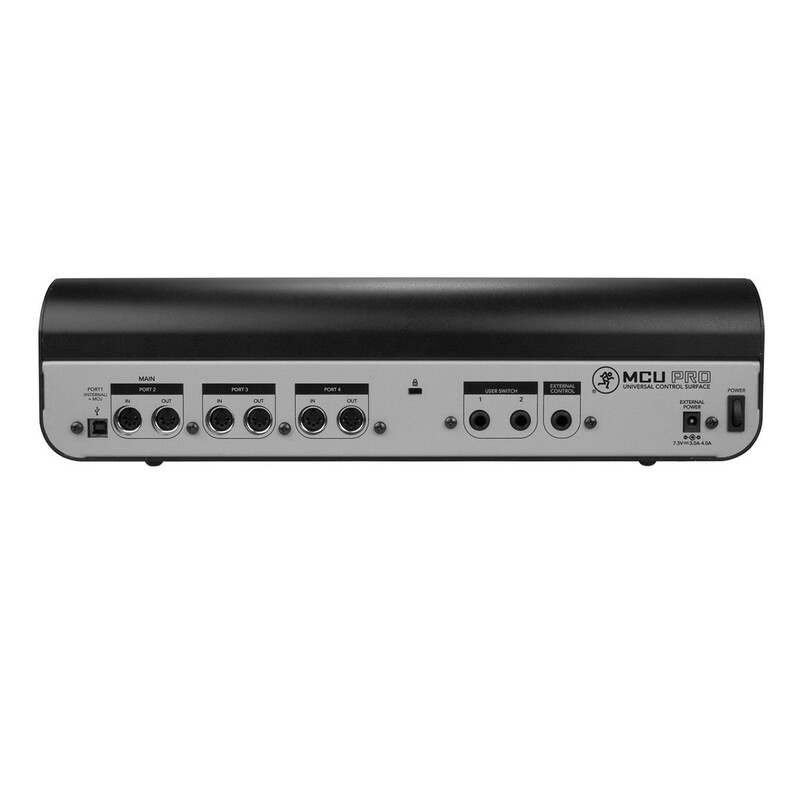 The onboard USB MIDI interface allows you to connect external MIDI equipment, while also facilitating seamless integration with all major production software and compatibility with both Mac and PC. Complete with a backlit LCD display and eight LED rings, the Mackie MCU Pro Control Surface delivers real-time visual feedback and unparalleled creative possibilities. Offering true plug-and-play operation, the MCU Pro is equipped with innovative Mackie Control and Mackie HUI protocol which allows the control surface to seamlessly combine together with almost any DAW software. The Mackie MCU Pro control surface provides you with intutive control of both mix and plug-in parameters, along with real-time visual feedback - without any complex MIDI mapping required. 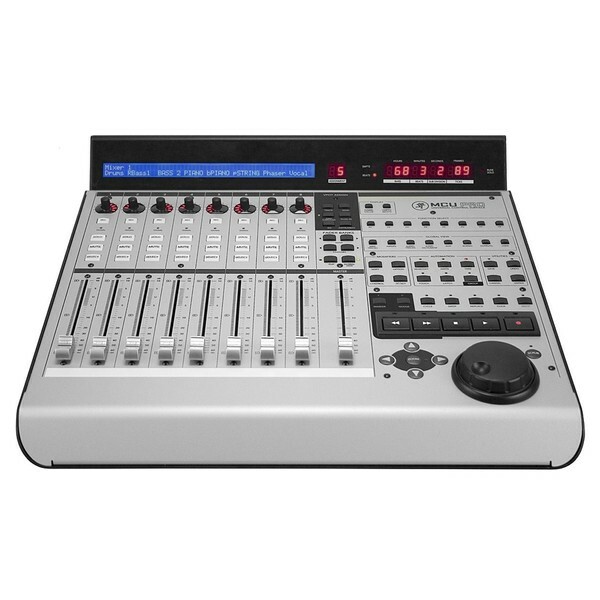 This Mackie MCU control surface features nine 100mm motorised touch-sensitive Alps faders - one for each channel and a master fader. With support for an unlimited number of banks, the only limitation is the amount of channels that your music production software can handle. 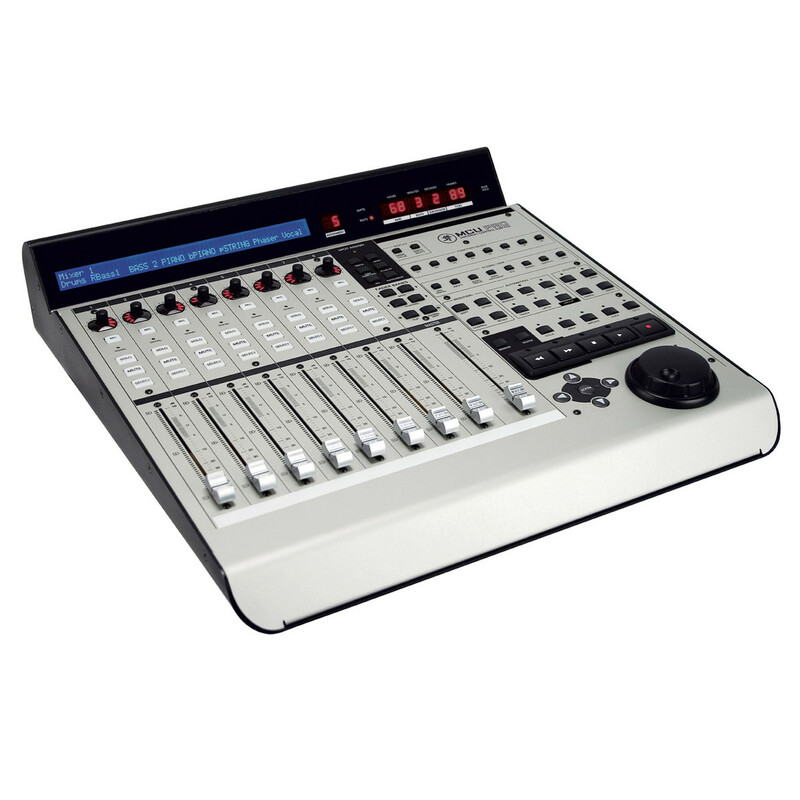 Each fader channel is also equipped with a V-pot rotary encoder and an LED collar that provides further control and indicates current value. The ergonomic design also boasts a range of soft key controls, consisting of 118 dedicated keys and 8 assignable, as well as transport controls for convenient playback and recording. The two-line, 55-character backlit LCD displays paqrameters like track name, channel metering, I/O assignments, plug-ins, EQ, dynamics and more, saving you time by not having to look up at your computer to see the parameters you're tweaking. Without dividing your attention between control surface and computer monitor, your mixing speed, efficiency and creative control are all distraction-free.